For people who have diabetes, it can seem as though keeping blood sugar normal to avoid the enormous list of complications is a challenge. Unfortunately, the list also includes dental care. Diabetes affects the entire body and this includes your mouth. As a diabetic, you will have a raised risk or oral problems because your blood sugar is harder to control. Keep in mind though, that those who do keep their blood sugar well controlled as required by their doctor, can reduce these risks. Generally, the better you control your blood sugar, the better you reduce your risks of oral problems. 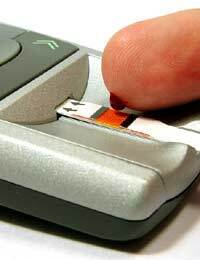 So what exactly happens if you don't control your blood sugar properly? If uncontrolled, your diabetes affects white blood cells, which normally work to defend you from infections – primarily bacterial ones – in the mouth. If blood sugar is uncontrolled, diabetics are more likely to suffer from a dry mouth because their saliva flow is reduced. This can then lead on to tooth decay, infections and even a sore mouth. Ulcers are another complication stemming from a dry mouth. Another complication of poorly controlled diabetes involves gum problems. Since diabetes not only impairs your immune system but also impairs circulation, the movement of nutrients and wastes around and out of the body is impaired. This includes the mouth, thus leading to a higher risk of gum disease. When you do have a dental procedure, your ability to heal is also slowed because of the impaired circulation from diabetes. For this reason, extra care and action have to be taken during any dental surgery to ensure safety and promote better healing. People with diabetes are more prone to thrush – a fungal infection of the mouth. This is due to the bacteria in the mouth feasting on high levels of glucose. Also, being more prone to infections in general means that diabetics may take antibiotics more frequently, which can also lead to thrush. If you're a smoker, you have more reasons than anyone else to quit because smoking impairs circulation even more in a diabetic, leading to the host of oral problems mentioned. You must be extra diligent about good oral hygiene, including regular brushing with a fluoride toothpaste, using an extra soft toothbrush to protect your gums and flossing daily. See your dentist regularly and always mention any oral problems you have noticed, however small they may seem at the time. Earlier intervention is always better than damage control later. Of course, keeping your blood sugar as near normal as possible is vital, not only for your oral health but for the health of your entire body. Keep your dentist in the loop on your diabetes care as well. Your dentist might pick up on an issue that you aren't aware of, so it's good to have a strong flow of communication from your general doctor to your dentist. While having diabetes does mean you have to pay extra attention to your health and oral care, it isn't a life sentence for oral health problems. With the right effort and time in attending to your diabetes and oral hygiene, you can better manage your diabetes and enjoy strong, healthy teeth and gums for years to come.